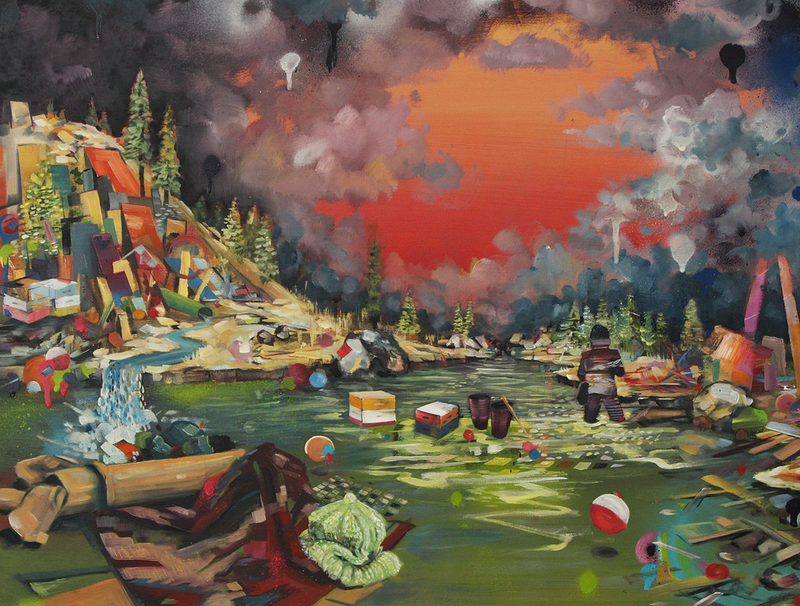 His paintings characterize the mind as a collection of past experiences defined by the landscapes they once occupied. 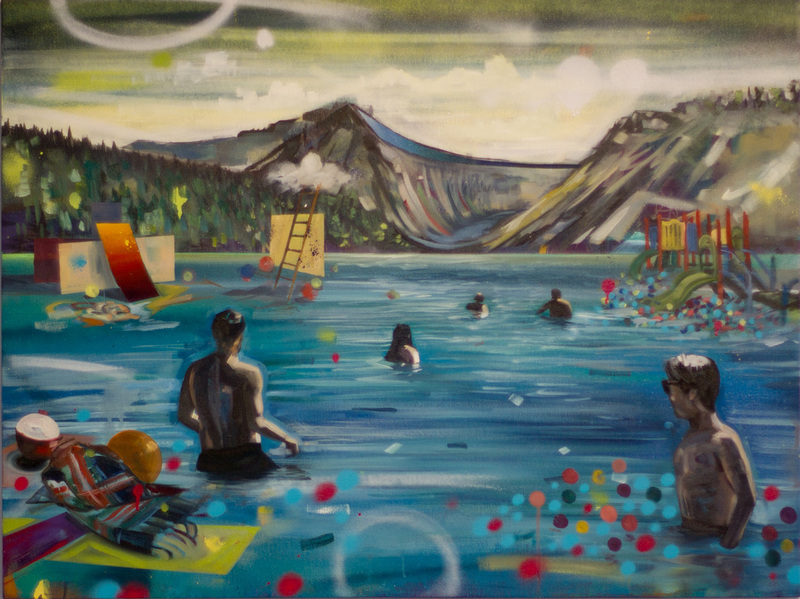 His effervescent landscapes are interrupted with piles of colorful objects. Only a few of these objects take on clear forms: a ladder, a children’s slide, a beach ball. While most others remain deliciously undefined or blurred, which makes them all the more engaging. 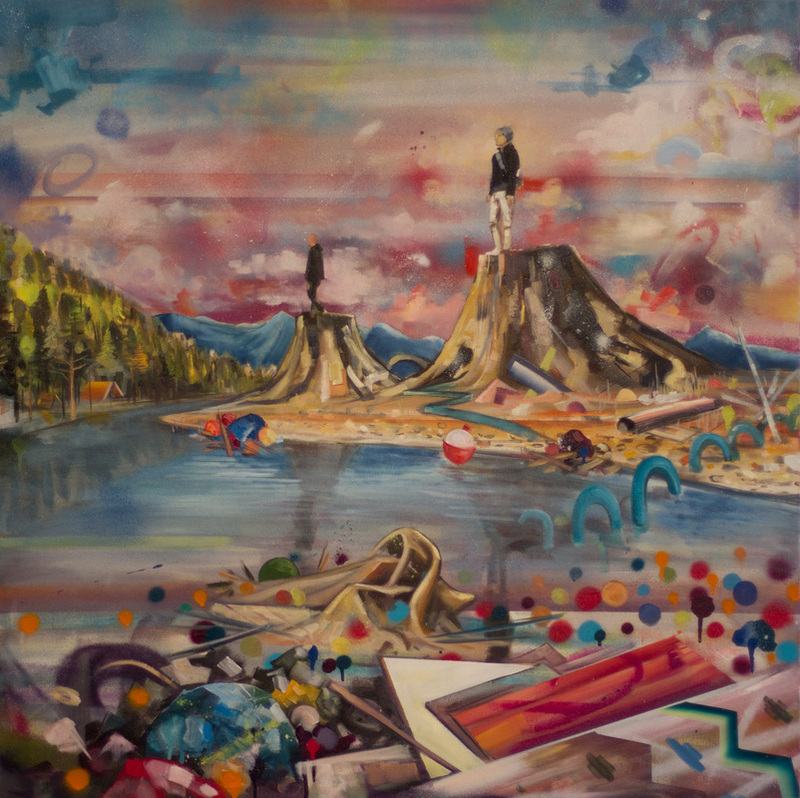 He likens his landscapes “to a young child’s messy room, wherein even a jumble of mundane memories can take on the most magical form.” His paintings ooze this infectious fascination with examining one’s perceived past and its enduring influence on the present. While the viewer looks into the depths of King’s landscapes, his figures seem to do the same. Beautifully rendered with raw yet controlled strokes, the figures gaze inward away from the viewer rather than connect head-on. They are detached and seem to be drawn to some internal force or action within the painting. This gives each painting an undeniably magnetic inward pull that evokes the desire to stay and look a little bit longer. DEBRIS will be on display at Campfire Gallery until Sunday, June 22nd, 2014.